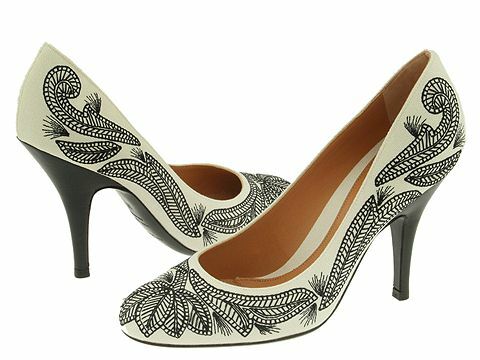 These stylish pumps are perfect with a black skirt or pant. Canvas upper with decorative embroidered design. Leather lined. Leather sole. Made in Italy.